Relationships and Higher Purpose takes you beyond the normal parameters of human relationships to a deeper experience of union, purpose and meaning with those individuals with whom you share a greater destiny in life. It is the seminal teaching in the New Message on discovering your greater relationship with yourself, with others and with the world. Relationships and Higher Purpose expands the context of relationships to include your relationship with Knowledge (What is Knowledge? ), with your Spiritual Family (Your Relationship with your Spiritual Family) and with the Greater Forces which are shaping your life and the world. 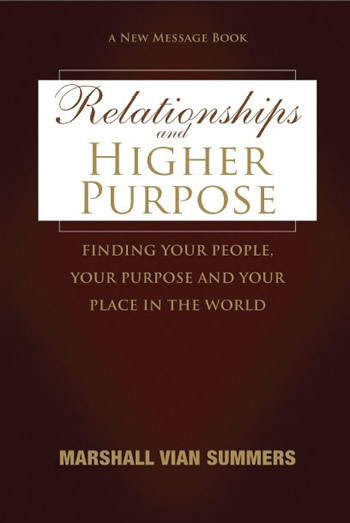 Relationships and Higher Purpose is the second book of Volume 2 of The New Message from God.